Folks, I didn’t mean to drop the ball. I’ve cooked several interesting meals from the Ethan Stowell’s New Italian Kitchen over the last week but one day I realized I’d never finish writing my book if I didn’t cut back on the blogging. In the morning I’d write a blog post and if I was happy with it I’d have this swell feeling of accomplishment that eroded the motivation to write anything else and the day would be lost. I can't afford to lose any more days. Hell, I can’t afford to lose any more hours. There’s the small matter of the deadline, plus, if I don't finish the book soon, I will become mad. Writing a book is like driving all alone through a long dark tunnel that you’re not sure is ever going to end and might, in fact, never end. By contrast, blogging is like zipping around in a convertible on a sunny day, waving to people. I can not tell you how I miss the daylight. My last four meals have consisted of BLTs made with Ethan Stowell’s home-cured bacon and his homemade mayonnaise, which is absolutely lovely. I could eat it by the spoonful. It turns out that two things you can’t do while you’re finishing a book -- or at least I can’t -- are diet and blog. Back very, very soon, I hope. Okay, Tipsy. Go finish your book so I can buy it and brag that I've been reading your stuff for years before you got rich and popular. I figured out you were finishing the book. I am trying to finish the intro to mine as we speak --boring, academic stuff--, but I counted on your entries for my breaks! Now with you and other food bloggers writing books (eg. Luisa Weiss), I am forced to keep my interruptions to a minimum. Hooray! An excellent reason for taking a break. Thanks for sharing. Just think how great the sunlight will feel after the tunnel. 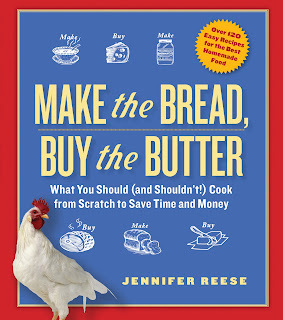 Can't wait to hear about the cookbook, but even more--can't wait to hear about your book. You need to come do a reading in Philly when the time comes! That's just the best description of book vs. blogging ever. Zipping around in a convertible waving! love it. Maybe you need some guest bloggers, like perhaps your daughter. I'm still wondering what the final rankings were for her chocolate chip cookie contest. Can't wait to hear about your book when its done and have you back here as well. I MISS your blog posts, but am glad you're focussing on your book. I hope it is going well. The following link made me think of your daughter's quest for the best chocolate chip cookie.